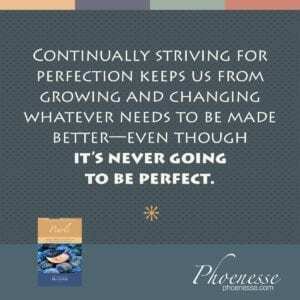 If we focus on growing—rather than on being perfect—we’ll live in the Now. We’ll find our own values and let go of those we’ve taken on from the outside. We’ll do what we do for our own sake and not for the sake of appearances. Finding our own values leads us back to ourselves—away from self-alienation; that’s the way to find harmony within. This will anchor us in ourselves.